by Haley Goetz We Are What We Are is not for the faint-of-heart or for people like me who don’t have that strong of a stomach. Before the viewing, I read that what I was about to see was a “cannibal horror film” and I was as prepared as I’d ever be. I went into the theater with an open mind and feeling secure in the idea that I could cover my eyes or ears whenever I needed to. See, gore just isn’t for me, personally. It may be for some people, but I find it to be too gruesome (especially when it’s realistically done). We Are What We Are certainly has its gory moments, but these are used sparingly. Instead, the film employs clever tactics of suspense and horror. Characters and setting are introduced to us first, and the true extent of the calamitous situation is revealed through gritty exposition. Initially screened at Sundance and the prestigious Cannes Film Festival, We Are What We Are takes its inspiration from a 2010 Mexican film named Somos lo que hay. The films are markedly different primarily due to their contrasting settings. The original Mexican version takes place in the pulsating streets of Mexico City, whereas the American edition is set in rural New York. While they share the same subject matter, the two completely disparate locations provide each film with a unique feel. Both are strengthened by their female characters, and its worth noting that the writer of Somos lo que hay worked directly with the creative team behind We Are What We Are. After a woman begins to bleed from her mouth following a visit to the department store, she falls into a ditch and drowns when the ditch fills up with rainwater. Doc Barrow (Michael Parks), the small-town doctor of this community, goes to the Parker residence to talk to the family about the passing of their matriarch. 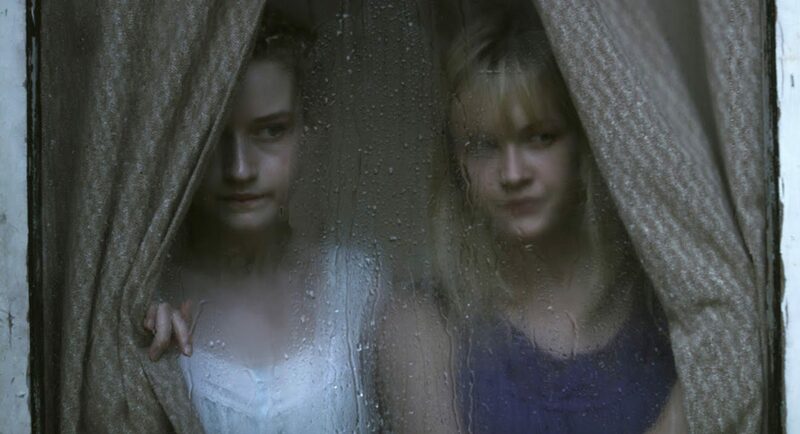 It is then that we meet the chilling Parker sisters, Rose (Julia Garner) and Iris (Ambyr Childers). They answer all of Barrow’s questions in curt, monosyllabic speech and their eyes almost appear lifeless. After this, we learn more about the Parkers. Their small family, which also includes the young Rory (Jack Gore), is ruled with an iron fist by the imposing Frank Parker (Bill Sage). Everything is mysterious about this family. Most ominous of all is the tool shed that lies behind their house. It’s in this shed that Frank occasionally works on small carpentry-like projects with various tools, but what’s especially creepy are the intermittent wails and banging noises that come from below the shed. This is the first indication that something just isn’t right about the Parkers. Following this initial hint, Barrow and the young Deputy Anders (Wyatt Russell) uncover a large collection of human bones in the creek that abuts the Parker house. From here on out, the truth of what this family has been hiding begins to unravel. I enjoyed the layers of this film. The character of Doc Barrow in particular is a great asset. Michael Parks is a seasoned actor, and he fits his role quite well. The humanism Parks imbues in Barrow makes him the most likeable of the characters and he becomes easy to empathize with. We actually learn more about Barrow than any of the Parkers. He’s a lonely man who’s still looking for his lost daughter, while the Parkers are established as being just plain weird (they’re too close to one another, and cagey). Barrow is the man that finally unearths the secret of the Parkers as well; their matriarch died from a rare degenerative disorder known as Kuru disease that is only seen among cannibal tribes in Papua New Guinea. With this knowledge and the mystery surrounding his daughter’s disappearance looming large, Barrow goes straight back to the Parkers to confront what he has just unearthed. The aspect of this movie that got to me most would have to be its cinematography. Lensed by Ryan Samul (who has also been the cinematographer on a variety of other horror/thrillers), the visuals are amazing — subtle and unsettling. I enjoyed how slow everything was as well, especially in the beginning. The pacing really allows for the gravitas of the film to set in. The various shots of nature surrounding the town only heightened the sense of great doom that was to come, creating a sort of “quiet before the storm” atmosphere. The film’s ending is truly spectacular and catches the viewer completely off-guard. If anything, I would advise someone to see the movie just for that aspect alone. The final moments show a warped side of human nature, giving the audience a glimpse of what happens when all semblance of normalcy is drastically taken away. We Are What We Are is disturbing and graphic, but it’s also tender and delicate at the same time. It’s an innovative take on the horror genre, and a very interesting watch.